More Janglish! If you put together the English words “automatic” (or “automobile”) and “bicycle” you get … nothing. People will also use the word “bike” to mean “motorcycle.” Keep in mind that, even among native English speakers, this can be confusing, since “bike” also means “bicycle.” If you say “bike,” people will only know whether you mean “motorcycle” or “bicycle” from the context of the situation or conversation. If you try and translate “비 온다” as, “Rain is coming,” it does NOT mean it is currently raining, as in the Korean expression. Instead, it means there is rain in the forecast and it might rain LATER, but it is not raining NOW. Please be careful of this important difference. Aren’t a lot of these actually made from glass? Either way, we don’t normally use the word “vinyl” this way in English. Instead, use “plastic.” We tend to think of vinyl as a kind of fake leather (가짜 가죽), not something clear. Either way however, we wouldn’t use “vinyl” or “plastic” or any other material for this expression. Instead, we would say “greenhouse.” The key to remember for the English expression is that we don’t focus on the material used to make the building, we focus on the type of building (whether it is made from glass, plastic, or something else). Konglish: Good cooker = 좋은 밥통? Two little letters are what causes the problem here. Take off the “er” from the end of “cooker” and the expression is fine. Leave it on however, and you’re talking about a machine, not a person. A side point here is that “making” is a more common verb than “cooking.” You can “make coffee,” “make popcorn,” “make kimbap,” or even “make ice cream,” but it would be odd to use “cook” with any of those foods. Konglish: A/S Center … 아/ㅅ 센터? If you use the term, “A/S center” with a native English speaker, you’re likely to get the same puzzled expression as you would get by saying “아/ㅅ 센터” to a native Korean speaker. If you try and stretch it out, to “after-service center,” it would be like saying, “수리한후 센터” in Korean. Obviously, not a good thing. 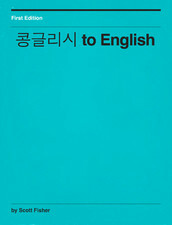 In Korean, it is common to use the term “하드” (“hard”) to mean a drive on a computer, like “hard drive” in English. Unfortunately, in English, the meaning of “hard” is closer to “딱딱한” or “어려운” than anything computer related.